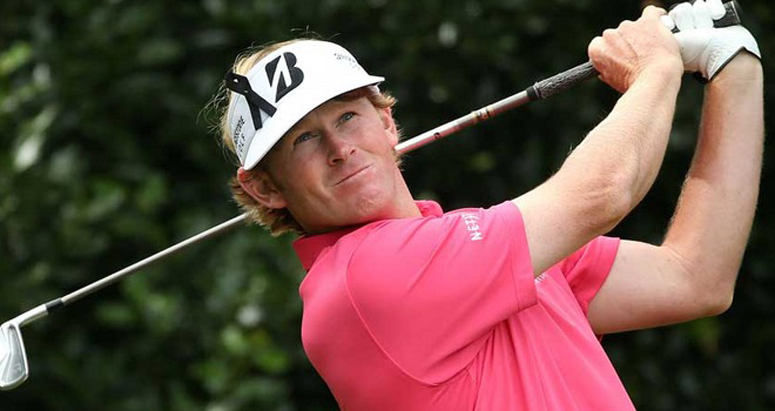 If you liked the colours that Brandt Snedeker wore at the Masters, you will love our Papaya Orange and Tango Pink collection. Founded by Chris Knott in 2001 with a single Cashmere Sweater, Peter Millar has grown into a premium lifestyle apparel brand and one that our customers just love. 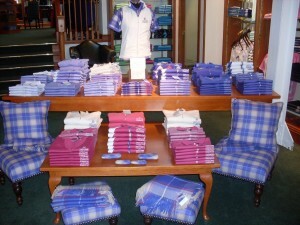 It’s one of our best-selling brands in the Old Course Shop and we even have a small selection in the 18th Green Shop. 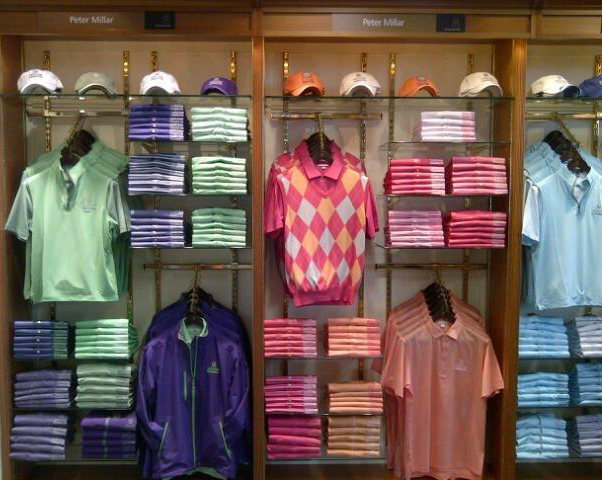 At this year’s Masters, Brandt Snedeker could be seen wearing some of Peter Millar’s finest pieces – the perfect sneak preview of some of the choices available in store here in St Andrews. 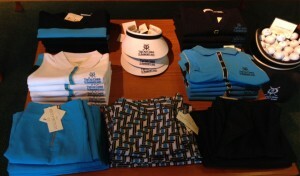 Brandt’s outfit choices came from both the mainline collection and Millar’s new Element 4 range. The new Element 4 range is as striking as it is innovative. 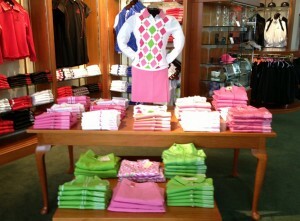 It is available in the Old Course shop in Kalamata and Raven Purples and Volley and Cucumber Greens. If you liked the colours that Brandt Snedeker wore at the Masters, you will love our Papaya Orange and Tango Pink collection with its eye-catching Diamond slipover and silky soft fabrics. The actual style of polo Shirt that Snedeker wore is available with exclusive Old Course branding in the form of the mercerised cotton polo shirt in Tango Pink. 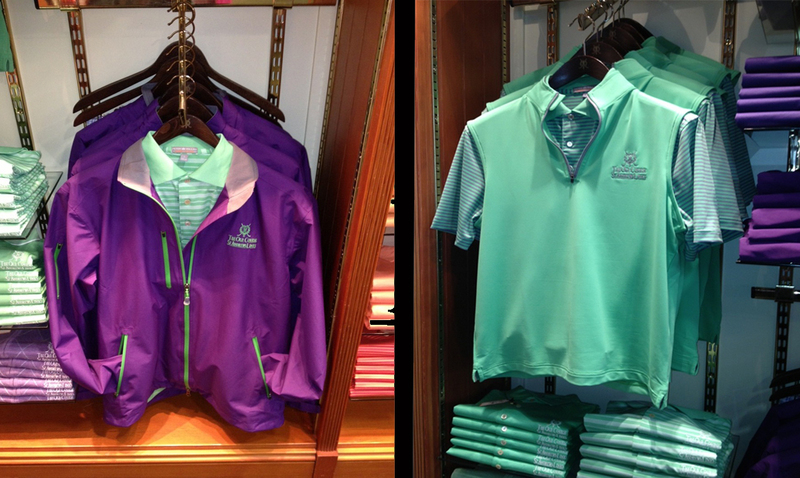 This polo looks great both on and off the course. You will find this available in a number of colours across the collection too. Made from the most luxurious of technical fabrics, there are a full range of garments available including sweaters, jackets and polo shirts. See our Sales Assistants for the technical spec relating to each piece depending on whether you are looking for warmth, waterproofness, wind-proofing or moisture wicking. You will also find the basic Element 4 pieces spread across our other colour stories in the form of the Perth Stretch Quarter Zip which is the perfect mid-weight base layer and available in a number of colours.